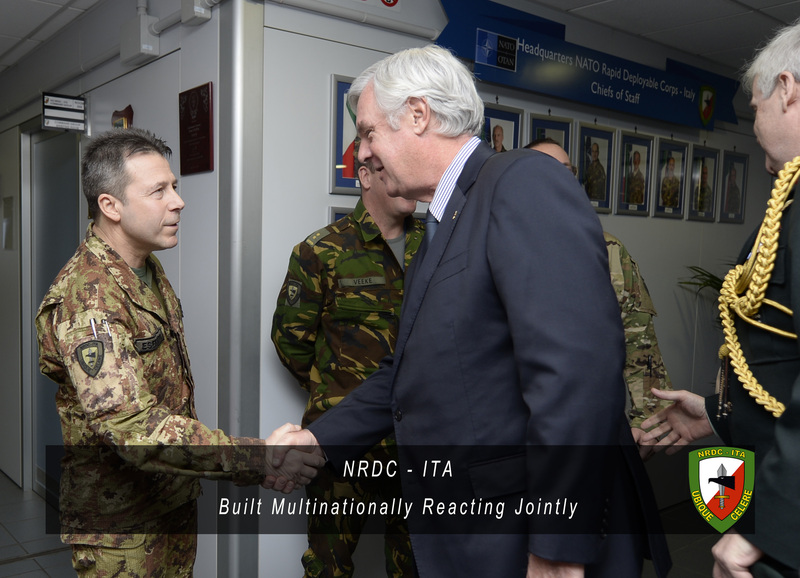 Today the NATO Rapid Deployable Corps - Italy is hosting His Excellency Peter McGovern, the Ambassador of Canada. 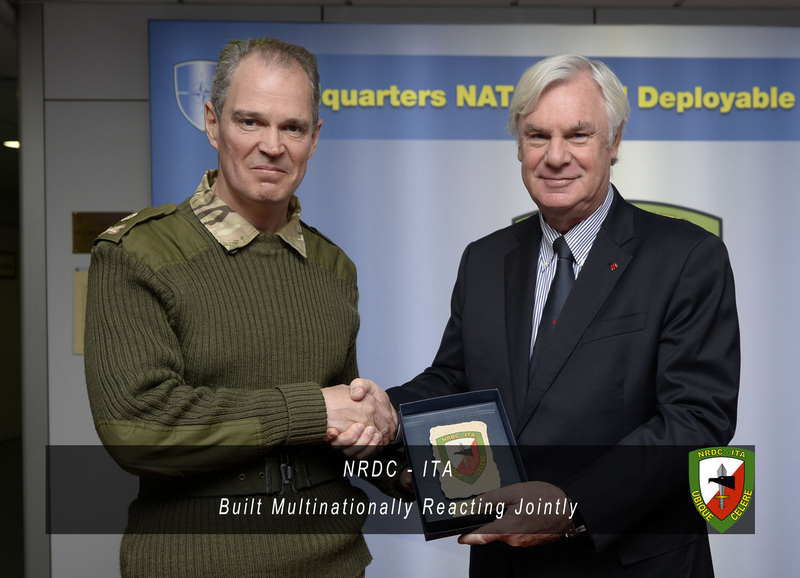 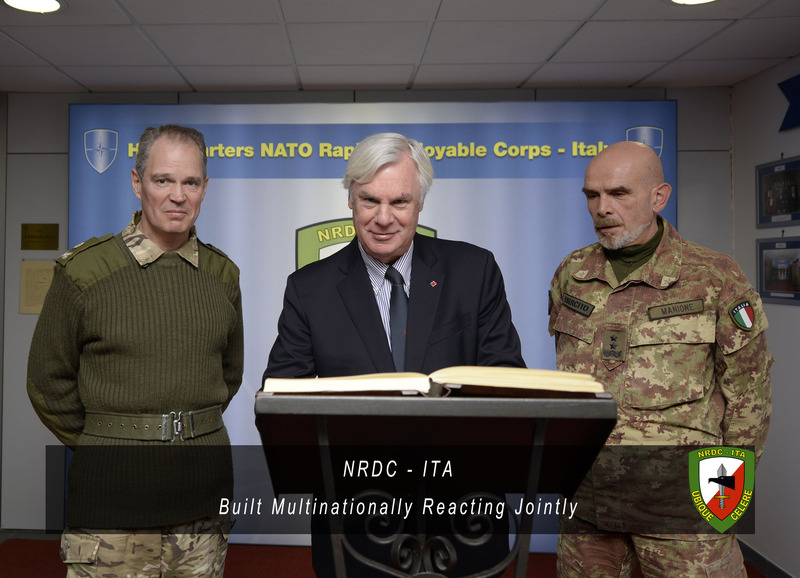 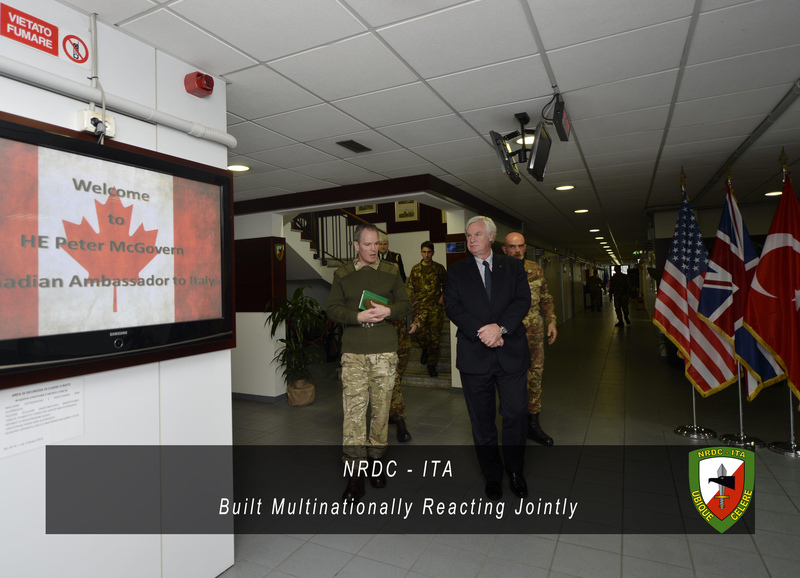 The diplomat was received at the "Ugo Mara" Barracks in Solbiate Olona by the Deputy Commander of NRDC-ITA Major General Sir George NORTON, instead of the Commander, currently engaged in an institutional visit to NRDC Greece. 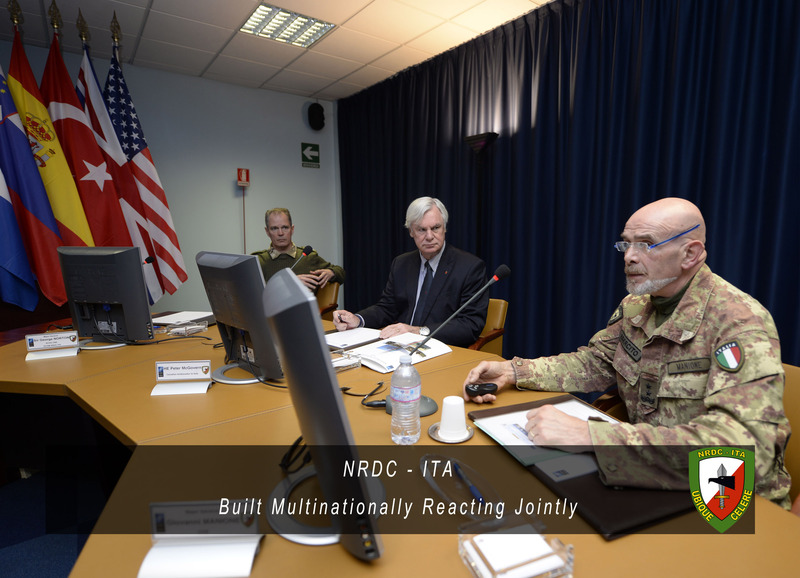 After a meeting with the representatives of the 12 contributing Nations of the Headquarters, the Ambassador attended a briefing held by Major General Giovanni Manione, NRDC-ITA Chief of Staff, during which he has been updated on the development of the current activities of NRDC-ITA and on the challenges that have followed the recent achievement of the Joint Capability. 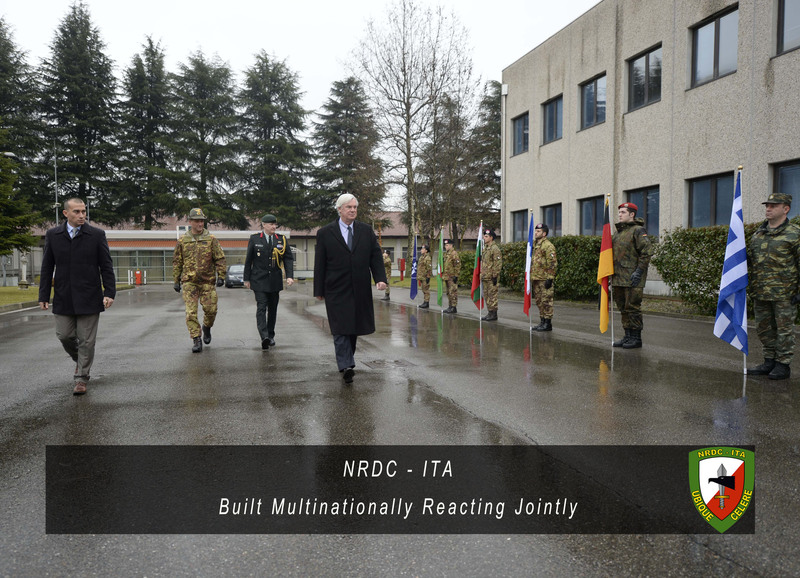 During his visit Ambassador McGovern has expressed the will of his Nation to join the other 12 Countries already working at the “Ugo Mara” barracks, confirming that NRDC-ITA is constantly seen as an international center of excellence for the planning and conduction of NATO or EU-led operations.